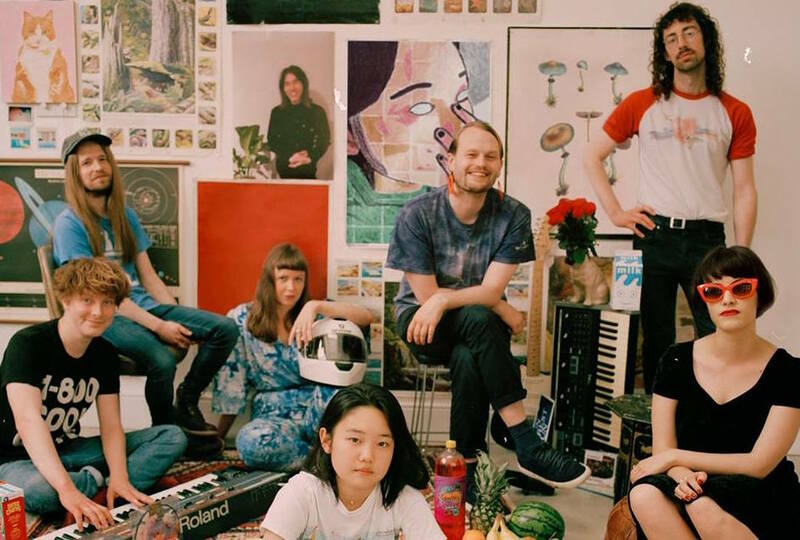 The mysterious entity that is Superorganism have a Liverpool date planned, Getintothis’ Lewis Ridley reveals all. Coming from nowhere in particular, Superorganism‘s initial entrance was surrounded by mystery and speculation. At the time of releasing Something For Your M.I.N.D, the band had no identity and the track that gained popularity due to featuring on FIFA 18 was a standalone marvel. Now, all eight members reside in London and are set to head out on a world tour that will call into Liverpool’s Arts Club venue as one of thirteen UK and Ireland legs of a huge world tour. They’re already Liverpool-bound in the name of Sound City on Sunday, May 6. Now they have a self-titled debut album to their name and the band that once evaded even the most investigative fan are now in both ears and eyes. Tickets are on sale at 10am on Friday.